These are twining shrubs that are parasitic on the plants they grow on, forming such a mass that the host eventually collapses. There are 14 species in Australia. 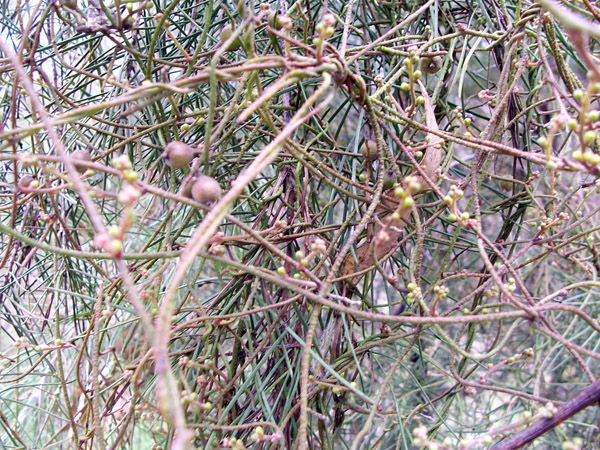 C. paniculata is found in Cattai National Park, and C. pubescens is common in the Blue Mountains.